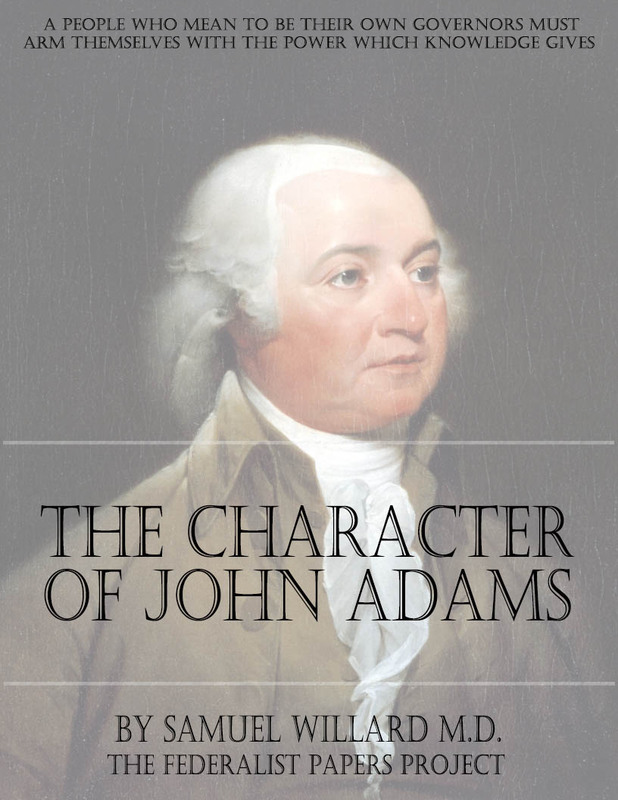 Get a FREE copy of “The Character Of John Adams” by Samuel Willard M.D. 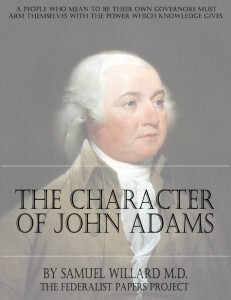 John Adams, the second president of the United States, had the peculiar fortune of being for a while, one of the most honored citizens of the country, entrusted with most important offices and appointments, and rendering services which were recognized as of vital importance to his native land; and then had the misfortune of retiring into private life under a load of calumny which made his name a byword of contempt. John Adams’s remains were buried in a tomb under the portico of the First Congregational Church of Quincy. In the body of the church, by the side of the pulpit, at the preacher’s right,” is a marble tablet, seven feet by four, on which is chiseled a memorial of the statesman and of his wife. It is surmounted by Greenough’s bust of the ex-president. Under that the first line is his favorite motto, —Liberty, friendship, faith, thou wilt hold fast. Overlooking his personal defects, the judgment of the ages will pronounce him in service to his country second only to Washington.